Weight: Aluminum Weight from a 10 gms up to 2000 gms. Zinc die casting upto 400 gms.single pcs. Dimension: up to 750 mm. Length. Material: Aluminum, Zinc alloys Brass and its all international grade. Annual capacity of 200 MT. 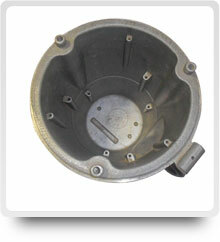 Metal Cast offers Pressure as well as Gravity die castings in Aluminum and in Zinc and Brass. 500 to maximum 20000 no of single item/ month. By Pressure die castings Metal Cast can offer a minimum wall thickness of 1 mm!! 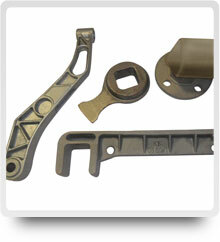 Metal Cast can offer fastest development of tooling- sample. Excellent surface finish by Pressure die castings. Weight: from a 100 gms up to 5 MT.. Surface finish as per the requirments. High Alloy Steel, Stainless Steel Grades, Cabron Steel international grade. Annual capacity of 5000 MT. Value added services: Machining, Plating (Nickel, Chrome), replica breitling Painting (powder and liquid paint) with ready to use assemblies and sub assemblies.